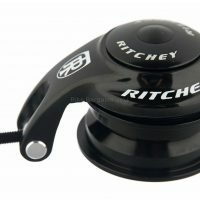 Cheap Headsets Deals - Save on smooth steering! Cheap Headsets Deals – Save on smooth steering! My hand selected sale headsets for road, MTB and Cyclocross usage, at least 50% off all models. Click on the "View Deal!" button, or click on the "More Info" button, where you can then click through to the deal. To view the spec, comment on a deal, mark it as expired, or share it with your friends. Click on either the thumbnail or the deal's title (the text in dark grey - e.g. Gore Bike Wear Men's Jacket). Click on the header at the top of the page, or click here.